Book Bloggers International: Announcing Our First Ever Live Readalong! Announcing Our First Ever Live Readalong! One of the reasons why I picked The Vegetarian by Han Kang for our April readalong was because it sounded like the perfect Readathon book: something short and fast enough that you could read it in one sitting. 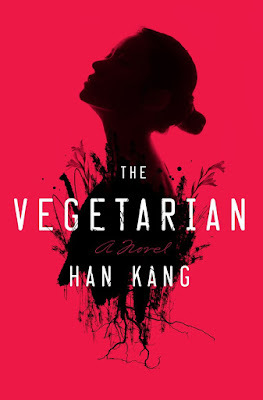 Well, the Readathon is only a few days away and, because the library holds gods have not been kind to me, I haven't had a chance to read The Vegetarian yet. So I had a thought: since the whole idea behind The Vegetarian was to read it during the Readathon anyway, why not do a live readalong on Saturday?? I'll be using #TheVegetarianBBI during the Readathon to track my progress (in addition to the #Readathon hashtag) and I hope you'll join me on any platform you prefer: Twitter, Facebook, Litsy, Instagram, whatever! Already read the book or aren't planning on participating in Saturday's 24 Hour Readathon? No worries, I'll have a traditional discussion post up here, hopefully before Sunday. Thanks for your patience this month and chat with you all on Saturday!